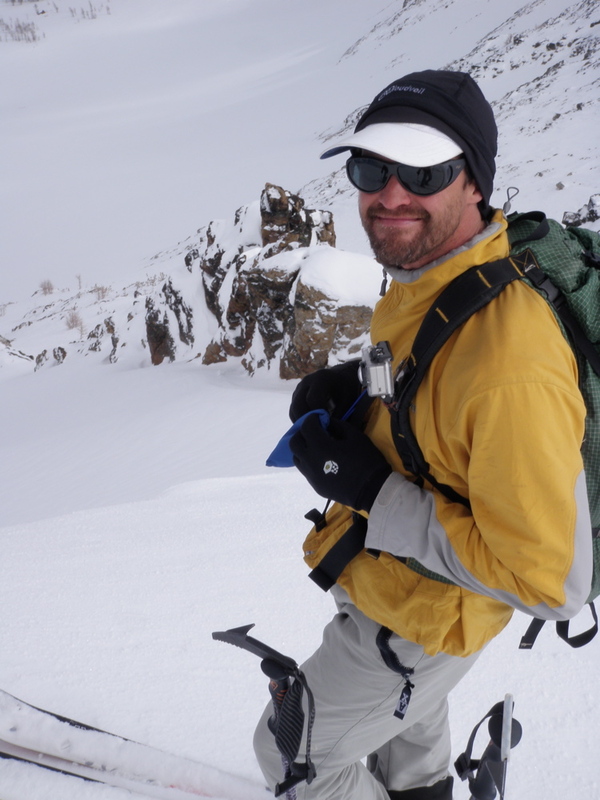 Hey John, Just wanted to let you know that we had a great time at the Yurt lodge, and many of us want to go back and check it out again sometime on a better snow year. 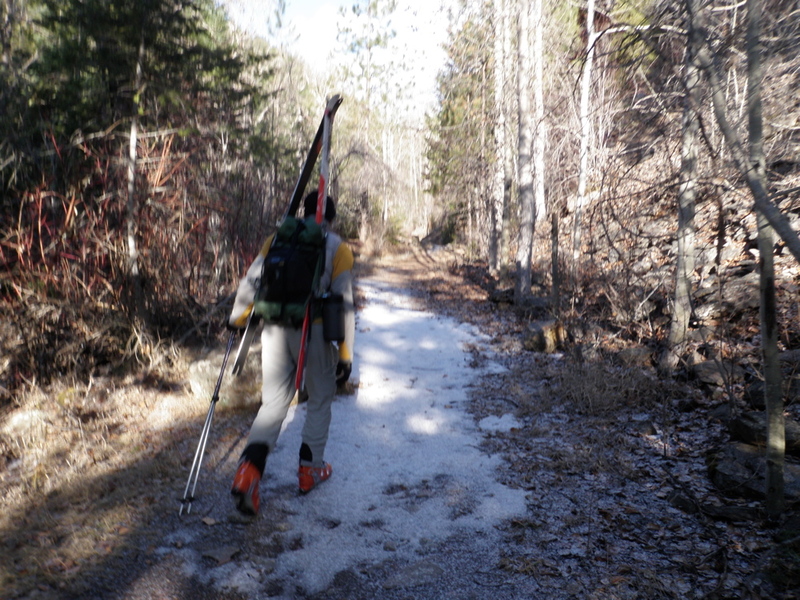 We hiked every day did 3 run days mostly in Crown and Avy. What cool and fun terrain. 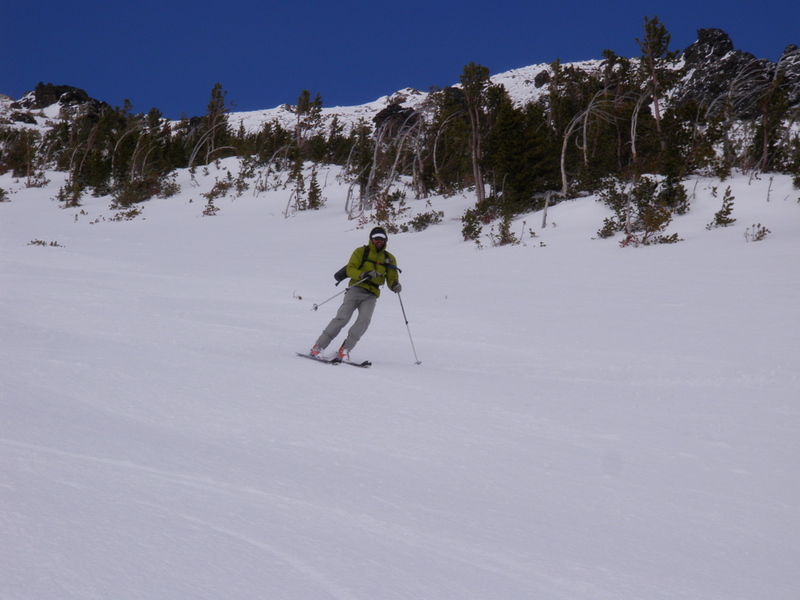 Skiing through all the Larch was cool and the conditions up top were good sun filtered powder. 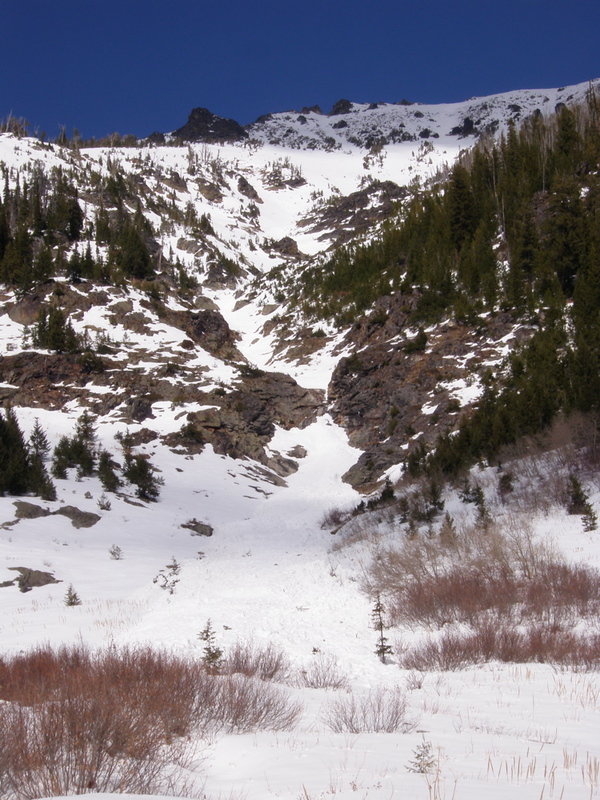 The lower half of Avy bowl was definitely spicy but the walk back to the cabin was not too long. Having the yurt so large and furnished was a treat from what we usually get. Thank you for having us and our pups. We all had a wonderful vacation. Don and I made a nine o’clock start for the Big One in Bass Creek. 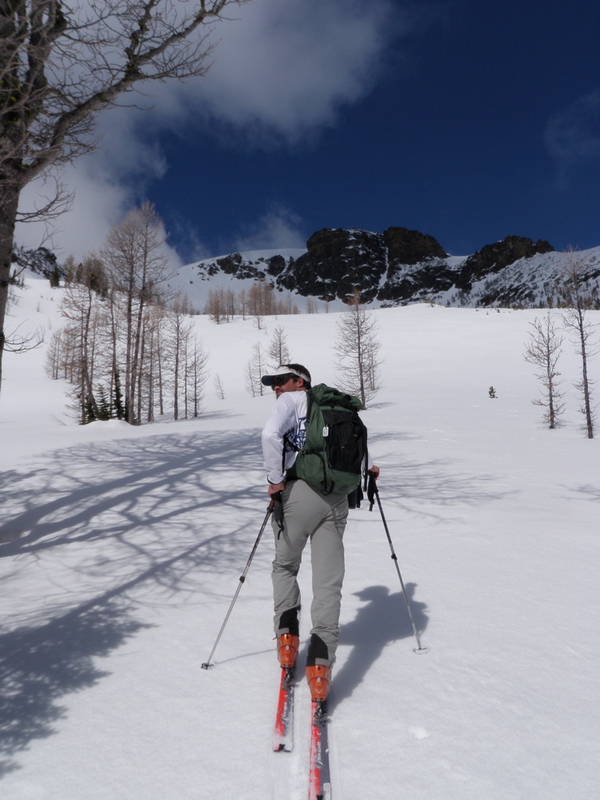 Don had an eye on the south facing direct run back to Bass Creek and I was happy heading for another fine line on this exquisite ski peak in the northern Bitterroot. 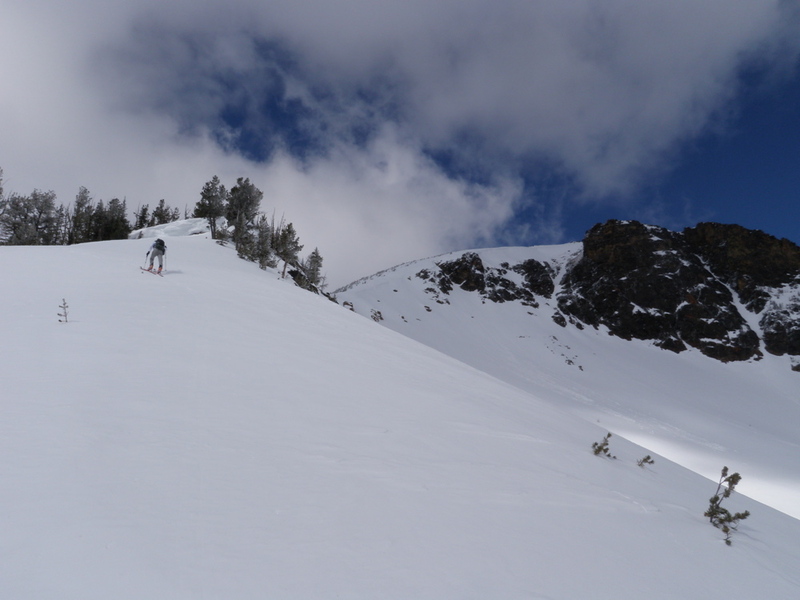 We made the trek to the bottom of the SE Face on fast icy snow in two hours and started the ascent hiking dirt, ski free, up the central ridge before traversing west and skinning into the main SE Bowl. 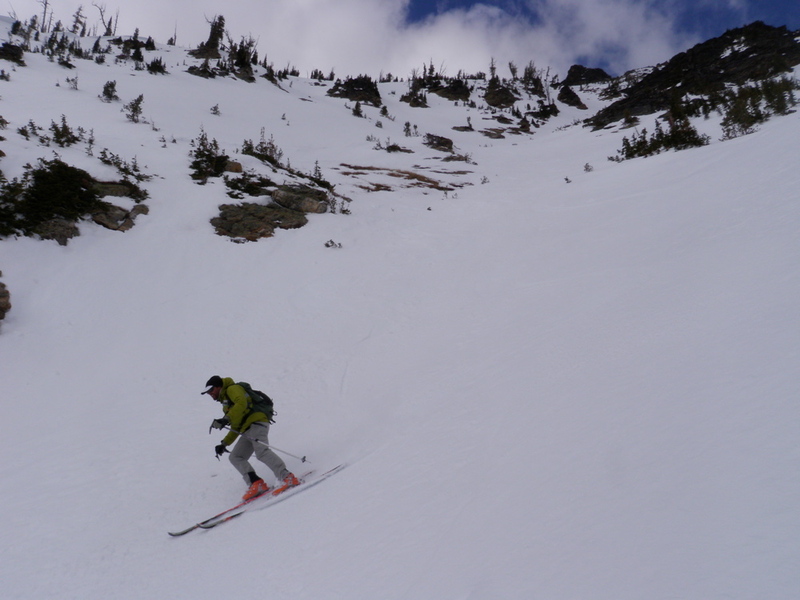 Fast and cool conditions had us taking a break on a rock mid bowl at ~8,500′. I moleskinned a hot spot on my left inner heel from my new liners (Power Wraps from Intuition). We dried off and cooled off before making the push to the summit ridge and the summit plateau. 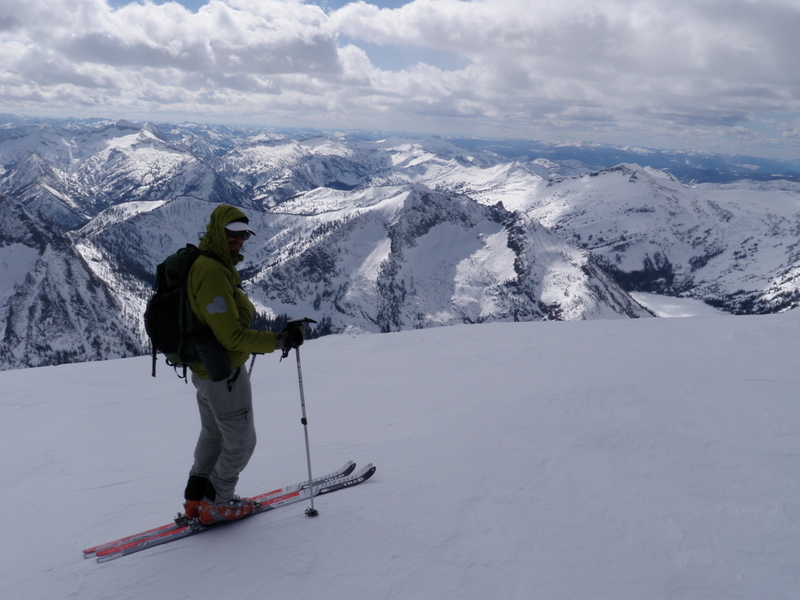 We did a quick circumnavigation of the summit aspects, touring passed the north cornices to the skiers entrance on the northeast fold, thence to the north windswept face I had hiked earlier this winter and finally to the west face, rocky and very difficult looking skiing but with great views down to the south fork of Sweeney Creek and the Pyramid Buttes south face. 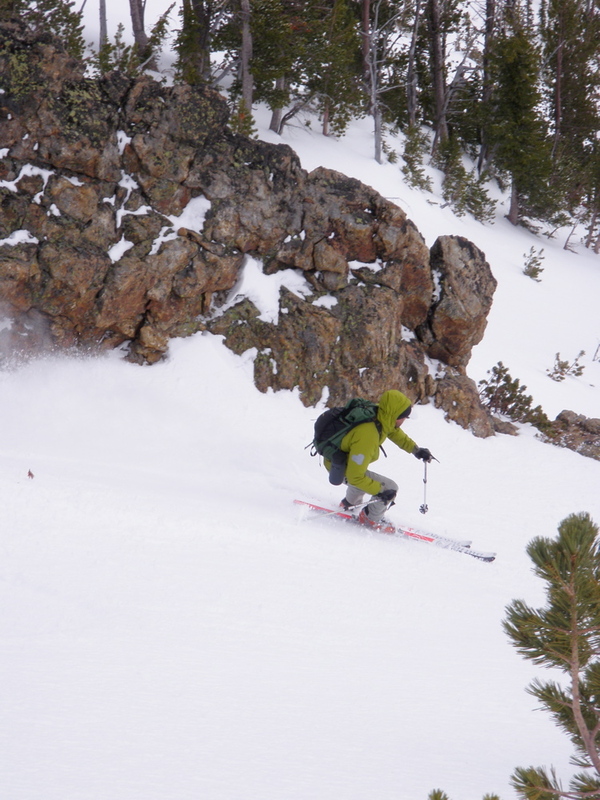 Awesome…we finished by deskinning at the summit cairn and then skiing south to the edge of the main south west facing bowl and negotiating 3,000’+ of hardpacked wind drift bowls, narrow ski lanes through small trees, and perfect corn snow. 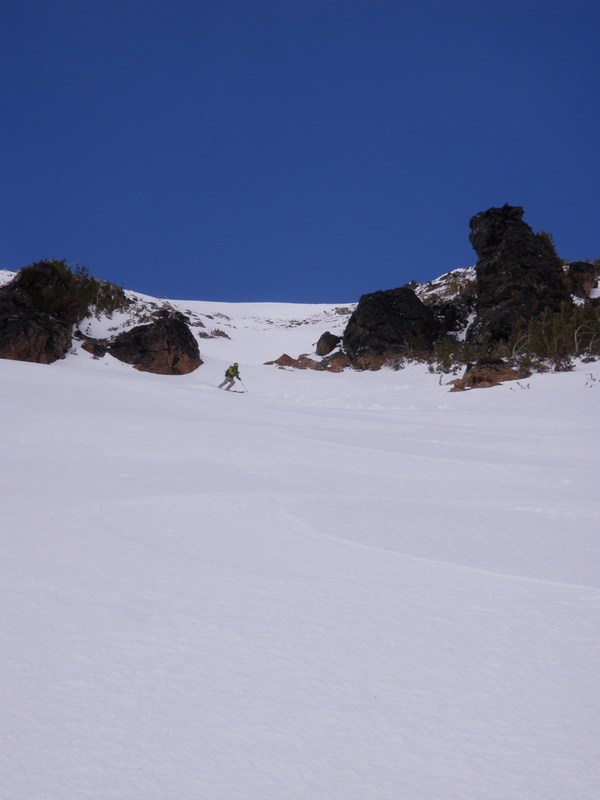 We skied passed rock outcroppings and into a narrow rock tiered runnel gully that choked up with debris and afforded a rollover cliff with a running waterfall as the crux to this otherwise continuous fall line beauty. 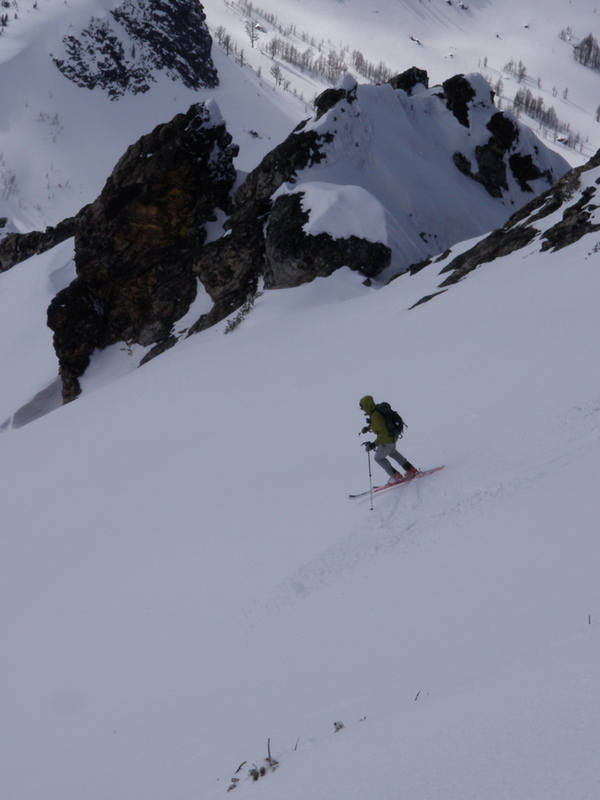 We ate up the newness and advanced terrain with giddiness remembering well why we work so hard in the mountains to continue to seek the fresh lines on a new day with a wealth of time in the bag on mountainsides. What refreshment!